Mr. Stanley M. Green, age 85 of Grand Haven, passed away Monday, February 4, 2019 at Grand Pines Assisted Living. He was born November 17, 1933 in Grand Haven to the late Merriell and Elizabeth (Krisik) Green. Stan married the former Sally Bolles on October 17, 1953 in Spring Lake. She passed away May 12, 2015. He was retired from Dake Corporation after 41 years as a machine operator and supervisor. 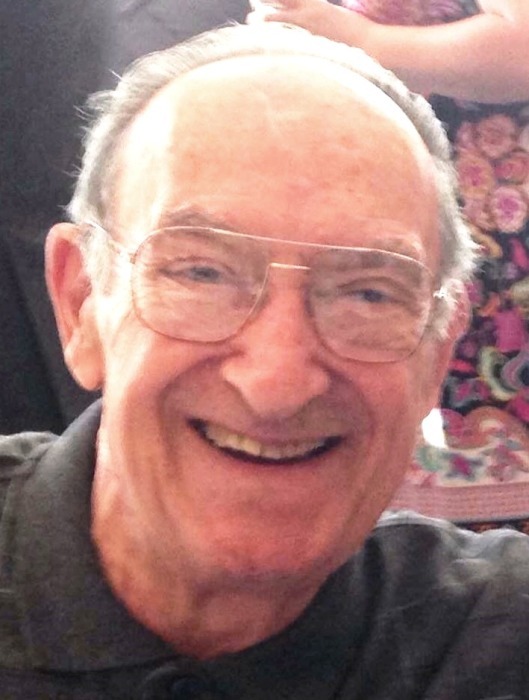 Stan was a member of St. Patricks-St. Anthony’s Catholic Church, was an avid bowler, and loved hunting, fishing, gardening, and coaching baseball and softball. Stan proudly served his country in the U.S. Army. He is survived by his loving family; Anthony (Gigi) Green, Steven (Darlene) Green, Mark (Sue) Green, daughter-in-law, Linda Green. Also surviving are 9 grandchildren, 8 great grandchildren, his sister; Lorraine (Jerry) Kinnucan and brother; Gerald (Maggie) Green; in-laws, Edna (George) Mc Carthy, Amy Hill and Peggy Bolles. Stan was preceded in death by his son; Fred, sister; Anna Tipsword, brother, Fred, in-laws; Audrey Katt, Lois Scheil, George Bolles, O.J. Hill, Clifton Merz and Otto Katt. The Service for Stan will be 11:00 a.m. Friday, February 8, 2019 at Grace Assembly of God in Fruitport with Pastor Casey Arnouts officiating. Interment will be in Grand Haven Lakeshore Cemetery. Full Military Rites will be performed by the VFW Sgt. Alvin Jonker Post #2326. Friends may meet the family 6 – 8 p.m. Thursday at Klaassen Family Funeral Home. Contributions in Stan’s name may be given to the VFW Post or the Wounded Warriors.